THE Government has warned foreign companies operating in Zambia against abrogating the labour laws of the country, saying those found guilty risked imprisonment. 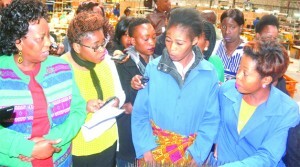 Labour and Social Security Minister Joyce Simukoko said it was important for all employers to respect the labour laws and ensure that the conditions of service that employees were offered were in line with the law. Ms Simukoko said this when she conducted an impromptu tour of Avic International Department One, Eva Products Zambia Limited and Oriental Quarries in Lusaka yesterday. “If you ignore the law, we will be ruthless, we have a right to imprison you for six months,” the minister said. 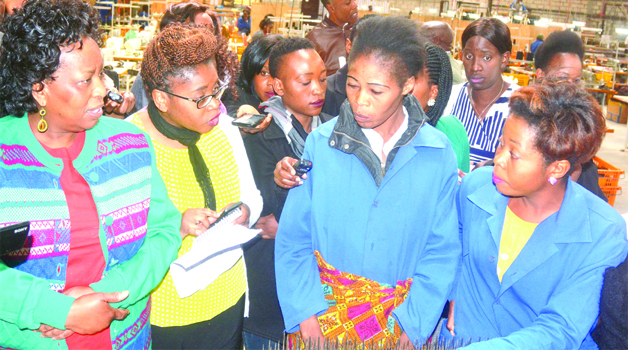 Of the three institutions, Ms Simukoko observed that Eva Products Zambia Limited was abrogating the law for failure to register with the Workers Compensation Fund Control Board (WCFCB). It also was discovered that the company had engaged an unqualified human resources manager and the workers had not received the benefits they were entitled when a company they worked for -Ultra Sound Sessions – was bought by Eva Products Zambia Limited. Ms Simukoko said the company needed to ensure that it hired a human resources officer as the current person doing the hiring was an accountant. Eva Products director Daeho Roh said the company would ensure that the observed lapses were addressed to ensure that the company continued its operations in the country and avoided imprisonment. The company has four expatriates of which three are Koreans and one is Zimbabwean and has more than 150 local employees. Another company which had labour issues was Oriental Quarries which was behind in paying salaries by four months. The company was also found to have a number of occupational health safety issues. Oriental Quarries director of operations Ahmed Saadi said the company was hoping by end of August to clear all the salary arrears owed to staff. Meanwhile, Avic International Department One was urged to recruit more Zambian engineers, as the company has about 30 Chinese experts and more than 200 local employees.